Property prices in the capital have stuttered since the 2016 referendum. If Prime Minister Theresa May can avoid a chaotic exit, investment may pick up. Yet a rising pound will discourage some foreign punters. And political and economic uncertainty will linger. The London Eye, the Big Ben clock tower and the City of London financial district, August 23, 2017. 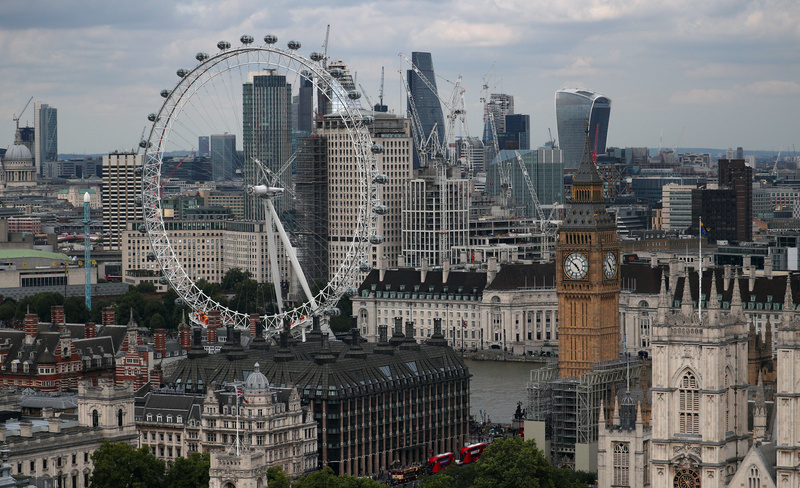 Foreign investors spent a total of 16.6 billion pounds on London commercial and residential property in 2018, a decline of 6 percent compared to 2017, according to data from real estate agent Knight Frank. Foreign investors bought 13.5 billion pounds of London commercial property in 2018, and 3.1 billion pounds worth of London residential assets. Prime London residential property prices have fallen by 9.6 percent since April 2016, according to an index published by British private bank Coutts. Meanwhile, City of London office property values have remained unchanged, according to Knight Frank.